I know this isn’t wine related, but I love your pictures and was wondering what type of camera you use. Thanks. While your question isn’t wine related, it’s definitely related to my blog. The pictures are an important part of what I do here on A Glass After Work. 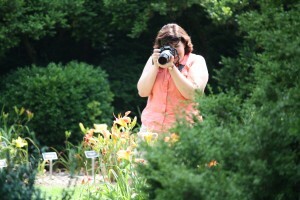 I shoot with a Canon Rebel XT, which I’ve had now for several years. I mainly use two lenses, an 18-55mm lens and an 70-300mm lens. For editing, I use Adobe Lightroom, although teaching myself how to use that has been a much longer process than learning how to use the camera. I also frequent a number of photography blogs and regularly look at photography magazines to try and understand more about how professional photographers compose and shoot. All in all, I see the blog as a great opportunity to not only learn more about wine, but also learn more about manual photography and the editing processes. I just got the same camera! It’s my first DSLR and I’m SLOWLY learning how to use it. My boyfriend also got me Lightroom, which I haven’t tried yet. Ooooh, Lisa…that’s a good present!! I can’t wait to see all the fun things that you’re going to be doing with it on your blog! Hubby gave me Lightroom last year for Christmas, and it’s definitely been a slow learning process. I can’t imagine not having it, though. ENJOY! !